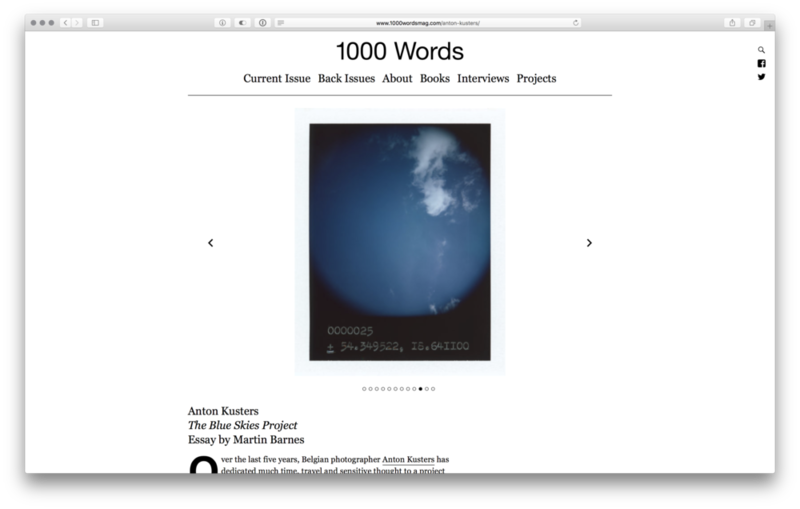 Martin Barnes (Senior Curator, Photographs at Victoria & Albert Museum London) wrote a poignant essay about The Blue Skies Project (an essay that will feature in the published book). Tim Clark from 1000 Words Photography Magazine published a random selection of blue sky photographs, along with this very text. A wonderful combination.